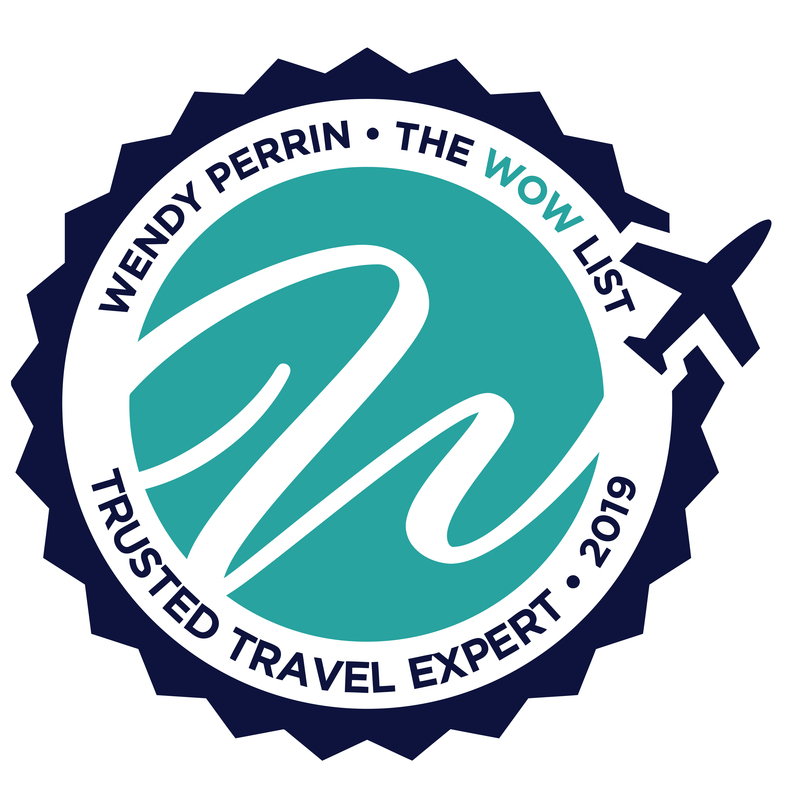 Cherri Briggs is on Wendy’s WOW List of Trusted Travel Experts for her expertise and connections as regards Southern African Safaris. The reviews below are from real travelers who’ve taken trips that were arranged by Cherri and monitored by Wendy. Don’t miss Cherri’s Insider’s Guides to Zambia, Namibia and Zimbabwe. Note that this is my very first Perrin/WOW trip so I’m unskilled in what info you are looking for. There were two entities involved in the planning & execution of the trip: Cherri Briggs and the local operator in Ethiopia, Dinknesh. I am not going to try to separate where one ends and the other begins. Pre-Trip communication was excellent. I got answers to my questions in a generally timely manner. understanding that sometimes the question had to go to/from Ethiopia to get answered. We built an itinerary that matched my budget and hit the places I was interested in. Before departure, I received a very detailed booklet describing everything related to the trip—the most comprehensive tome I’ve ever seen for any trip I’ve taken in my life. When I arrived I was met at the Addis Ababa airport just as described. The guide (Melkamu) was very knowledgeable in flora & fauna and he had an incredible eagle eye that spotted things that I would never have seen on my own. The team (guide & driver) were very flexible, stopping for pictures at my request. I never felt rushed. I even requested a truly local lunch stop, i.e. it probably wouldn’t pass US health inspection requirements. The team also helped me (mostly) avoid the awkward encounters with those trying to get a handout. There were a few negatives worth describing. * tipping is part of the Ethiopian experience and Explore described the process of “who & how much” in great detail… the various recommended tips for my tour added up to about $700. The problem is that carrying that much cash for nearly 2 weeks made me really uncomfortable. Especially because I doubt any loss would be covered by travel insurance. And apparently, there were no alternative options (PayPal, Venmo, etc.). So I guess this issue isn’t related to the quality of the organizations involved but it was something that made the trip less enjoyable. * my guide, Melkamu, had pretty good English skills, but I had an experience related to those skills that could have been borderline dangerous. I caught a cold and a sore throat on the trip and asked to stop at a pharmacy in one of the towns we were passing through. I thought I had made clear to Melkamu what I wanted but at the counter, I almost ended up getting eye drops because of miscommunication. In retrospect, I realize there were several other times where Melkamu probably misunderstood what I said but those instances didn’t matter because it was related to simple tour questions. I would have preferred that he tell me that he didn’t fully understand my meaning rather than make a guess. Bottom line: I would never have been able to arrange & execute something this complex AND successful on my own. I would definitely recommend & use Cherri again for this kind of specialized tour creation. Cherri and her team really made it happen, it is one of the best travel experiences we have ever had, our main idea was to craft an itinerary around a 4 day rafting trip on the Zambezi river, and after speaking with Cherri she suggested a one day trip in order to add more value to our time in Africa, we ended doing a 16 day trip to Namibia, Zambia and Botswana all considering very different camp and safari experiences at each place we visited, she definitely knew what we were looking for. We had an awesome surprise with our WOW moment, which was a free helicopter ride over the falls, one of the highlights of the trip, thank you!!! The only mishap was we were stood up with one of the private transfers from the airport to the hotel in Cape Town, and that we found out that the small aircrafts to travel from camp to camp do allow bigger and wheeled bags which we were told were not, and since we were spending a week in England after our trip we had to buy another bag in London. We will for sure use Cherri and her team again when we return to Victoria Falls and Botswana with the family!! Our family safari was the bonding experience of a lifetime. I am the matriarch of a family of twelve. Cherri and her associate, Katie, thought of everything. My grandchildren ranged in age from 7 to 17, and they were thrilled and spellbound the entire time. The look of sheer bliss on the faces of everyone was almost comic. The trip was to celebrate my birthday, and our perfect guide Sam handled every detail, had a fund of information about the animals we saw and the places we went, without ever seeming intrusive. He is now an honorary member of our family! I feel seriously indebted to Cherri and Katie. Scarcely a family occasion goes by, when somebody in the family doesn’t bring it up, provoking a kind of gratitude and tenderness from my children that seems boundless. It’s true, I paid for it, but our 13-day adventure surpassed even our wildest dreams. I would recommend Cherri and her team to anyone. All the camps we stayed in were superb, each in their own way. Sam thought of everything, besides being adorable company. I was only bitten by a mosquito ONCE! The camps were all unique and beautifully maintained. Transfers were effortless. Can’t say enough about this trip of a lifetime. Flawless!!! The trip was planned in a very professional manner which was executed flawlessly. I worked with Elizabeth Rand on Cherri’s team to plan a 60th birthday trip for my husband. The trip was fantastic; travel went smoothly and the properties were uniformly excellent. We stayed at Kings Pool, Nxabega and San Camp. The only thing I would change would be to shorten our stay at Nxabega by one night in order to add a night a San Camp. Kings Pool was truly above and beyond; they were also the only camp that provided a special treat in honor of my husbands birthday. San Camp was so different and special, and we did not have enough time there to do everything we wanted to do. We also spent a few days in Cape Town where we had a lovely experience at the Cape Grace and were offered freebies galore that we did not have time to take advantage of. We also had two wonderful days of touring with Ryan Lawrence of Cape Fusion tours. Ryan was a fantastic guide and a pleasure to spend time with. We’re excited to go back to Africa and would definitely book again with Cherri and her team. We just returned from a 3 week trip, July 22-August 12 2018, to Zimbabwe, Botswana and South Africa planned by Cherri Briggs. My husband and I along with another couple had never been to Africa with very little knowledge of the area. This was a dream vacation and we had very high expectations. All were met with lots for fun extra surprises along the way. After contacting several of Wendy Wow Africa travel specialists we chose Cherri Briggs of Explore due to her quick phone response, numerous in-depth phone conversations and the incredible informative proposal including pictures, maps, and camp information. We were 2 couples traveling from different states with different interests and all were met with incredible detail. We started our trip in Victoria Falls on the Zimbabwe side, followed by 3 nights each at two different camps in Botswana, two nights in Franschhoek, two nights in Cape Town, three nights in the Sabi Sand game reserve and the final 3 nights in the Thornybush game reserve. All of the transfers including commercial planes, bush planes, and land transfers were handled throughout our trip without a flaw. Dinner reservations at hard to get into restaurants were also booked. Our guide in Franschhoek and Cape Town was extremely professional and knowledgeable. Each camp was luxurious with different landscaping and experiences. We saw the big 5 at each camp over and over again including 2 black Rhino’s and three cheetahs kill an impala! We joked that we were not only on an animal safari but also an eating safari. The food was wonderful at each camp and the incredible bush meals will always be remembered. The guides, trackers, and butlers work very hard and were excellent at each camp. We left each camp feeling like we had many new friends. Several of the lodges surprised us with special birthday wishes, we also felt we were given the best rooms, guides, and trackers at most of the lodges due to Cherri’s special association with each of them. Special thanks to Cherri, Liz, and Elizabeth from Explore for planning our dream trip. We can’t wait to go again! Cherri and Elizabeth worked with us on our itinerary so that we could include a wide array of venues as we thought that this would be our (perhaps) one in a lifetime visit to South Africa. They were marvelous at discussing the various camps and choices with us and planned every aspect of this complicated trip from South Africa to Botswana to Victoria Falls to Namibia so that we were taken care of every step of the way; they made each camp manager aware of our specific needs and we celebrated our anniversary for many days and with many bottles of wine. They were responsive to our questions throughout the long period between planning and execution and all of our questions were answered in a thoughtful manner. If we do get back, they will be the first people to know. They were terrific – over a period of almost a year, we went back and forth planning the perfect trip. Initially, we had no idea where to go so we were very vague but they helped us focus and figure out what was the best itinerary taking into account our interests, children, budget and available time. They never got tired of our endless questions and always responded to us quickly. Their recommendations were spot on – the camps were great and, most importantly, the people at the camps made the trip. We arrange our international flight ourselves but they did all the internal flights. Everything was seamless and smooth. The pre-trip briefings by phone and the material we received prepared us perfectly. The amount and variety of animals (including rare ones) we saw were amazing. 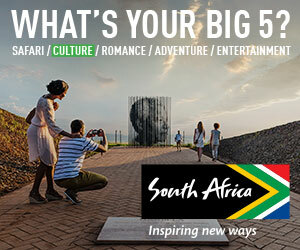 They also suggested a guided tour of Soweto and Kliptown while we were in Johannesburg. They arranged with a photographer called Ilan to take us – the breadth of his knowledge and the fact that he knew everyone was amazing – while the poverty was shocking the people he introduced us to were wonderful – very eye-opening both for us and our children – we would highly recommend it. We would definitely use them again (and plan to). As someone who had never been to Africa, I needed the help of a travel specialist just to decide in which country to go. The possibilities are confusing and endless and I was overwhelmed. When I spoke to Katie McDonough, on Cherri Briggs team, I gave her some vague directions about my preferences. She came up with the perfect safari experience. The trip she planned was very well balanced: a few days of safari camps, followed by a couple of relaxing days on the Zambia side of Victoria Falls and finishing in another safari camp. The two safaris were in different countries (Botswana, Zimbabwe), different environments and landscapes. We saw the big fives many times over and more wildlife than we expected in very close encounters. Only someone with a deep knowledge of the areas could plan this for us. The logistics( four small planes, three borders crossing …) were organized without any glitches: there was always the right person and vehicle waiting for us at the right time. The camps she chose were extremely comfortable, sumptuous and also very well run. The company that owns them operates with a very high standard of ethics when it comes to conservation and community. The two safari guides were outstanding in their knowledge of the area and the wildlife and we always felt very safe with them. All this luxurious experience was within the budget I had outlined which surprised me. (I had contacted two other travel agencies specializing in African safaris not part of Wendy ‘ s WOW list and their proposals were not only more expensive but also had not the same level of exclusivity). We have now got the Africa bug and will call her again very soon for another amazing safari experience. Cherri and her staff were excellent from the moment we contacted them regarding our trip to Africa. They made excellent suggestions, then arranged all the reservations and connections and had people waiting for us at each stop. They made non-worldly travelers feel very comfortable and secure guiding us through each step of complicated travel arrangements. For our 15th anniversary trip to Southern Africa (South Africa, Botswana, and Zambia), we had a list of wants and needs for booking. Cherri and her team planned a complicated itinerary in such a way that every step was completely smooth, and they still managed to fit in everything we wanted to see and do. During the planning process, Cherri was easy to reach if necessary, but most of the work was done by Elizabeth who took over when our initial agent left the company. She did an excellent job picking up mid-planning. Most of the camps and lodges we visited did something special to acknowledge our anniversary celebration. They also stepped in to secure an upgraded room in Franschhoek when the initial booking was incorrect. We had a wonderful time and would absolutely recommend Cherri and her team for a trip such as ours. We didn’t give Katie much time to plan this trip and she did a really good job of it. We had a wonderful time. All our accommodations and guides were wonderful. The arrangements in Cape Town, food and wine tours, were really enjoyable. I would recommend Pam and Shelley very much. Katie was able to make a few adjustments to the itinerary while we were there. A few of the arrangements, like the plane trip along the Skeleton Coast, and the lunch in Swakopmund, were among the highlights, and such a surprise. The trip, even with a lot of moving parts, and plane rides, went smoothly. Usko, of Ultimate Safaris, was my favorite guide, although they were all great. Namibia is truly a beautiful place. We loved the stay at Singita, and it was a perfect way to end the trip. I fell in love with Botswana because of Cherri Briggs. I had a magical time and couldn’t be happier with the experience! Katie on Cherri’s staff planned our trip in Oct. 2017 to Madagascar and was really great to work with! We spent a lot of time talking on the phone and corresponding back and forth via email, in the beginning, to really get a feel for what we wanted to do. The discussions continued during the planning stages as well. This is all very important to me because I really want them to know what I want. Failure at this stage leads to the most disappointment for me by a long shot. None the less, she was very in tune our wants. The paperwork sent to us before the trip was helpful and complete. The execution of the trip was also nearly flawless, which is saying a lot in a place like Madagascar! Our guides were excellent which is another exceptionally important part of a trip for me. To sum it up- we had a wonderful trip and we would definitely work with Cherri and Katie again! I worked with Kate who was incredibly responsive to every question and when she was unavailable Ryan stepped in to answer and handle anything that arose. Katie clearly heard my desires and transformed my thoughts into the perfect trip for us! We travelled for 3 weeks in July/August to Rwanda, Kenya and Tanzania, visiting the Mara the Serengeti, Ngorongoro Crater and Zanzibar. Tell them exactly what you are looking for and your budget and they will craft a great trip! Cherri and her staff provided us with top notch personal care. They arranged seamless transfers and transportation so that we could focus on the wonders of our journey rather than fretting about the details. I love the fact that Cherri and Richard are so involved in improving the community services for local people. Bravo Cherri! I heartily recommend and endorse! We travelled in May, 2017 to Victoria Falls, Zimbabwe, Cape Town South Africa and to the Phinda Private Game Reserve. Cherri and her team arranged all lodging, activities, guides and ground transfers. All were handled expertly and the advice of the team as well as the arrangements were both well communicated before the journey and flawlessly executed. We were delighted with all lodging and arrangements. We will definitely use them again if our plans call for Southern Africa! My husband and I took our kids on an African safari in 4/2017. We used Cherri Briggs and her team. I was blown away by the experience from start to finish. Cherri and Katie have deep knowledge of the continent really; they know exactly where to go and when (critical when talking about safaris which can be impacted greatly by seasons) and planned the exact perfect trip based on our unique interests and tastes. They crafted and recrafted the experience, based on multiple conversations gathering input from me and my responses to their (incredible) insights. The final trip was nothing short of extraordinary: a week and a half at two camps in Botswana, a few days at Victoria Falls and a final stay at a camp in Zimbabwe. Magical experience! I’d recommend them again and again! The trip was fantastic! Cherri and Katie listened to me and my desires for our trip, and took into consideration my own travel experience, when recommending the itinerary. I loved that they came in with one plan (and initially it made sense), but after talking with me, were willing (and creative enough) to change it completely. After the initial conversation, Katie took over and planned it – taking care of every detail. That was the part that impressed me the most – every aspect of the trip was accounted for and detailed to us before leaving. And it went like clockwork! We had no hiccups on the planning and execution of our trip. Another thing I really appreciate: our final camp did not quite match the expectation or level of some of the other places we stayed. Apparently, this is not what they expected there and other travelers have had better experiences there. But Katie immediately asked for feedback and addressed it with the camp. I was very satisfied with EXPLORE’s response and confident that we now know more about what we like/don’t like in our accommodation. I would not hesitate to use EXPLORE again! It is easy to see why Cherri and Elizabeth, on her team, come so highly recommended. They put together a lovely trip for us which showcased the diverse areas of Botswana and Zimbabwe. The trip was seamless and I truly felt like we were able to maximize our two weeks there. We were impressed by the details that were factored into our trip such as the private guide they reserved for us at our last camp. This really allowed us to spend our last days enjoying the wildlife while we searched for the elusive buffalo. We weren’t able to track one down, but there were so many other animal sightings, we weren’t disappointed. Plus, now we’ll have to come back. Cherri Briggs was fantastic. We have traveled a lot, but this was our first time to Africa–specifically Southern Africa. Cherri and Elizabeth on her team, provided expert guidance as the trip was in the planning stages, answered our naive queries, gave us multiple options and ensured they understood our desires every step of the way. Once were on the ground, everything ran smoothly but most impressive is that everyone we spoke to at our camps/hotels know of Explore and the team and thought highly of them. The accommodations were great, the guides highly knowledgeable and friendly. Our trip was to Zimbabwe and Botswana (safari in both locales) ending with a few days of an urban fix in Cape Town. We would use them again in a heartbeat and highly recommend them to anyone (and we have to our friends) considering such a trip. We went to Namibia, Botswana and Zambia mid July- August 8th of this year. We had tried using 2 agents we often use but they didn’t have contacts in these countries and wanted to steer us back to other African countries we’ve seen before. Cherri Briggs and her team with Explore Africa put this trip together for us very quickly and we had excellent guides and lodges. Our guide in Namibia, Orlando, had recently won the silver medal for guides worldwide. My husband and I traveled with 3 teenage boys and the trip met everyone’s satisfaction for activities, adventure, accommodations, food and service. In Namibia we had an unfortunate experience at Wolvodens Lodge. The lodge was not prepared for a freak cold snap and I needed up with hypothermia. The lodge didn’t act responsibly but Katie, our agent did. Also our Cesna flight leaving there had a broken window and she tracked down a new plane to pick us up in the bush. Then in Botswana we had a huge family suite at Chobe Game Lodge and my sons shower broke and there was a massive flood of scalding water. Because of the agents personal relationship with that lodge, management went WAY above and beyond to make sure we were well cared for after the messy disaster. Katie and management checked and rechecked on us. The highlight was our last lodge in Zambia called Anabezi. One of the most magical spots I’ve ever traveled to. Our amazing guide Mwyluah even came across leopards mating which is beyond rare! And my 13 year old caught an 18 lbs Tiger fish, the lodge record for the season. We’ve already hired Cherri again for gorilla trekking in January. This company is prepared, well versed, personally visits the lodges they suggest and had their pulse on Africa. We are grateful we found Cherri through you Wendy and give them the highest level of thanks and praise. We recently returned from an extraordinary trip planned and executed by Cherri Briggs and Katie McDonough of Explore, Inc. “Perfection” doesn’t adequately convey the marvelous trip we enjoyed thanks to the skills, contacts and the attention to detail practiced by Cherri and Katie. They listened to our goals and proposed an itinerary that was perfect. We toured Botswana, Tanzania and Madagascar over a 5+ week period and enjoyed a fabulous set of diverse lodges, the absolute best guides and many wondrous game experiences. Cherri and Katie ensured that any and all special requests were conveyed to the various lodges. They ensured that we had the right “tent” location, the right guide, and the best flight times between lodges. They assisted with the onerous visa process. They adjusted our itinerary to accommodate a last-minute international flight change to include booking a charter flight. And they monitored our progress and provided assistance when we needed some medical help and ensured that all of the many details were under control. Frankly, we’ve come to expect nothing less when Wendy recommends a Travel Specialist. From our first contact with Cherri Briggs and her team at Explore Inc., we were pleased with the attention to detail and the follow through. Our trip to South Africa was the best of our lives, and even with the long flight, after 2 days home we were ready to return. I would not plan another trip to Africa without Cherri and her team. We traveled to Namibia, Zimbabwe, and Botswana via Johannesburg, South Africa, in Sept. 2015. Our trip was organized by Cherri’s right hand, Elizabeth Rand of Explore Inc. We were impressed with the service we received from the very beginning of our planning process. Elizabeth listened to our wishes and made them possible, as well as filling in other “must see/do” sites in the area. We were in southern Africa for 3 full weeks (maybe a bit ambitious for us); but, though we were sometimes exhausted, we loved the entire experience. All of the connections and transports happened seamlessly; and, when we had a problem with South African Air bumping us from a flight, Elizabeth was available to help out with the new arrangements that were needed. Without hesitation, we would use Explore Inc. and Elizabeth to plan another trip for us. I had great expectations for our trip to Africa that were at every moment exceeded. Because every detail of every day was so well handled, my family and I were able to relax and enjoy this very profound experience. My son is a vegetarian and in every location they were ready for him…something that in all of our travels we have not experienced. The camps, the people were all wonderful! This trip is a memory that will be with us forever. My wife and I took a long awaited and much anticipated trip to Zambia to celebrate our 40th anniversary from August 18th to September 5th 2014. The entire trip was planned and booked through Cherri Briggs and Elizabeth Rand at Explore. Purely and simply they were fabulous to work with and we could not have been more pleased. Every lodge they suggested not only met our expectations but exceeded them. Every transfer, and we had a number of them, went off flawlessly and without a single hitch. In planning the trip they listened carefully to what we had in mind, remote and off the beaten path, but comfortable, and then presented us with the perfect itinerary. When we had pre trip questions or concerns they were immediately addressed. The wildlife experiences we had and the wonderful people we met will never be forgotten. Cherri and her team at Explore truly sent us on the trip and adventure of a lifetime. We hope one day to return to Africa and when we do we would not consider using anyone but Explore. A trip to Zambia is something very special indeed and anyone traveling there would be well advised to use the wonderful folks at Explore. It was truly a pleasure working with Cherri Briggs and Elizabeth Rand of Explore, Inc. for my July 2014 trip to South Luangwa NP in Zambia. This was my 8th safari in Africa and I have used several different agents, but none as professional and easy to work with as Explore. Every question I had was promptly answered, the itinerary was perfect, and they managed to save me a bit of money too! I visited the camps that have become my two favorite spots in Africa – Chamilandu and Kaingo, in addition to Mfuwe Lodge and Kapamba. All transfers and meet-and-greets went smoothly, and the accommodations and food were wonderful. Animal and bird sightings were fantastic! I saw at least one leopard every day, thirteen days in a row! I will definitely use Explore on my next safari. Our Zambian wedding/honeymoon was our ninth trip to Africa and after two amazing African adventures arranged by Cherri Briggs of Explore, she was the first and only choice for our wedding odyssey in September 2014. Cherri was able to provide unmatched in-country expertise, having resided in Zambia and Botswana for over a decade. Her knowledge is as vast as the country itself. Katie McDonough, a custom travel specialists for Explore in the USA made sure no detail or desire was overlooked in the planning process. With so many moving parts to our trip and in a country as large as Zambia, Cherri and her team were exceptional in every aspect, such as orchestrating a scrumptious wedding feast prepared on an island over a propane stove and arranging a private boat ride on the lower Zambezi at the magical hour to photograph elephants swimming across the river. What sets Cherri and her team apart and above the competition is their knowledge not only of their product but their knowledge and understanding of you. They have a unique ability for constructing the ideal itinerary based on your particular passions and preferences. For anyone dreaming of Africa, dream no more, just call Cherri.